Minitokyo »	Cardcaptor Sakura Scans » Cardcaptor Sakura: Ikuso..mina!!! THIS SCAN ISN'T MINE BUT i HOPE YOU GUYS LIKE IT ANYWAY......ENJOY MINA!!! oh, another neat picture! 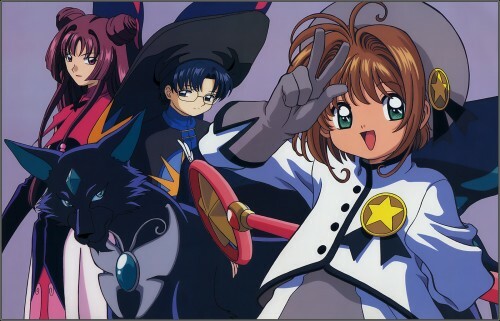 I love the group pictures with the guardians and Eriol and Sakura! eriol's eyes are so VERY mysterious and intriguing! this costume is sooo cute!